Would some quick thoughts on the Chico at Pleasant Valley 7-on-7 passing from Tuesday night interest you? Well then, let’s get started by ripping off some 100-word dashes. Here. We. Go. The Chico at Pleasant Valley high football 7-on-7 passing Tuesday went probably as expected with rough kinks and occasional good plays from both sides. Quarterback Clayton Welch seemed to have control of the offense throughout while some receivers still had to learn some plays. Chico wideout Miles Fishback provided one of the best catches while running along the right sideline. A PV defender (sorry, no numbers and roster make it hard to identify new players) made a nice play breaking up a pass. Another Viking jumped a route to pick off a pass as Chico was approaching the end zone. VIDEO: A few plays from 7-on-7 passing. If you can’t find Cameron Alfaro, try the Chico High weight room. The soon-to-be junior running back looks like he’s been serious about bulking up. As a baby-faced sophomore, Alfaro ran for more than 1,000 yards and the bulk he’s put on might lessen the need for Welch to run so much as Alfaro could take more carries. Alfaro also looked more and more like Welch’s dump-off preference when no one is open downfield. While Welch garnered most of the headlines, Alfaro starred in relative obscurity as a sophomore. He looks like he’s intent on making himself impossible to ignore. VIDEO: Some more plays from 7-on-7 passing. Another player who looks like he knows his way around the weight room is Pleasant Valley sophomore Jordan Cooley. Yes, Vikings coach Mark Cooley’s son probably will work his way on to the field for the varsity team quite a bit this year. The younger Cooley plays both running back and cornerback (no surprise there as that’s what the elder Cooley coached as a Butte College assistant). The Vikings already had an uncertain depth chart at running back after the vast majority of their running back committee graduated. Don’t be surprised if he steps up. He already looks the part. VIDEO: PV on offense, and Chico on defense in 7-on-7 passing. Unfortunately, I delivered some bad news to Chico football coach Jason Alvistur. Panthers standout Kody Sonday won’t be able to play in the 37th annual Lions All-Star Football Game because of a rotator cuff injury suffered in the South team’s first practice. Alvistur often praised Sonday in postgame interviews for his work as a two-way standout at inside linebacker and left guard during the Panthers’ 2013 season. The coach said hearing about Sonday “bummed” him out. Sonday was a late addition to the South team that will take on the North at 7:30 p.m. Saturday at Shasta College in Redding. VIDEO: More Chico on defense and PV on offense with a cameo from defensive coordinator Mike Miller. While coaches and players alike take the 7-on-7 passing seriously, there are plenty of lighter moments. One Chico player volunteered to do some push-ups after a gaffe. His push-ups weren’t exactly what defensive coordinator Mike Miller had in mind, saying they were what many elder Americans would not consider proper technique. Never one to shy away from a good-natured joke, Miller said the kind of push-ups done stemmed from the “wuss-ification” of America over the last 20 years, a book Miller said he could write, and he even knew how it would begin. “Chapter 1: Soccer,” he said, getting laughs. VIDEO: Chico on offense, and PV on defense. The start date is less than a month away. On Aug. 11, Northern Section football teams start practicing for the upcoming season. Many of them can’t waste time, especially this year. Week Zero, a week usually reserved for few games is nearly a full-fledged slate of good contests come Aug. 29: Pleasant Valley hosts Yuba City, Chico is at Roseville, Paradise is at American Canyon, Las Plumas hosts Marysville and Orland hosts Durham in an all-area matchup. Other section pairings for that night include Shasta at Anderson, Red Bluff at Central Valley, and Foothill at West Valley. Should be fun. Depending on how it looked at it, the Butte College men’s basketball team either had an awesome opportunity or one big problem Wednesday night. The Roadrunners opened Golden Valley Conference play against the team many see as the preseason favorite to claim the GVC crown with Lassen. The Cougars entered Cowan Gym with a state ranking of 18th in the Jan. 6 poll by the California Community College Men’s Basketball Coaches Association and 10th in Northern California. With the entire conference schedule all of 10 games, an 0-1 start in GVC home contests doesn’t leave much margin for error if the Roadrunners wanted to keep designs on their own GVC title. Well, the Roadrunners nearly ran the Cougars out of Cowan Gym in the first half and the early part of the second before Lassen came close to pulling even a few times in what became a harried 99-88 victory for Butte. Let’s take a deeper look at the game, and if you want to see it in pictures, take a gander at photographer Jason Halley’s photo gallery, which you can find on the Chico Enterprise-Record’s website. 10:08 left in first half: Butte’s Justin Gavard, who had 12 of his 14 points by halftime, makes a 3-pointer, extending the Roadrunners’ advantage to 24-11. 8:00: Lassen leaves Butte guard Jud Sailsbery all alone on the right wing, and the Orland High grad makes the Cougars pay when the ball gets to him. He drains a 3 for a 27-15 Butte lead. This was part of a bit of an exchange between the teams. Lassen’s Meshawn Beard rattles home a 3 only to see Gavard answer with another 3. But Lawrence Otis hits a 3 with 4:50 left in the half, keeping the Cougars within striking distance at 34-25. But a few bonus trips to the free-throw line and some good ball movement by Butte to finish the first half left Butte ahead 44-30 at the break with baskets from Jamaal Davis and Arthur Caldwell and Sailsbery providing the assist. Early in the second half: Baskets from Davis, Caldwell and Sailsbery times two build Butte’s lead up early in the second half. 14:25 left in second half: Lassen chips away at the margin as Butte’s offense dries up as Marvin White makes a 3, and he then converts a three-point play. Shortly after, Lassen gets to within 59-50 on L.J. Melton’s basket, but a technical foul for delay of game proves costly. as Nikolas Petruk makes both. Arthur Caldwell also makes two free throws with 12:42 left for a 63-50 Butte lead. 10:04: Again, Lassen draws near at 67-57. But Cougars coach Devin Aye is whistled for a technical foul for arguing a no-call on Lassen’s offensive end of the floor and then a foul that was called after Butte’s Davis attempted a 3. Again, Petruk, a San Paulo, Brazil, native, sinks two free throws. Then Davis makes all three of his tries. The last of which makes it 72-57 Butte with 10:04 left. 9:08: But Lassen goes on a 6-0 run from the free-throw fest from Butte and 9:08 left (58 seconds) thanks to Butte not handling the press, turning the ball over and turning it over quickly. 5:22: After getting to within 76-70, Lassen’s Beard fouls out, and Sailsbery makes both free throws. 1:39: White makes a 3 as Lassen now within 87-83. Roadrunners counter with Sailsbery assisting a Caldwell basket for a crucial six-point margin at 89-83.
:58.3: Sailsbery makes both free throws at 91-85, a fitting finish as the difference came at the line. Otis makes 3 after this to get Lassen within 3 at 91-88, but Caldwell again has a basket. Then Sailsbery hits two more free throws at 95-88 with a little more than 30 seconds left. Lassen’s third and final technical foul, this one with 18.2 seconds left means Butte can start thinking about the next game. Butte extended its win streak to five games, leaving the Roadrunners at 11-7 overall and of course 1-0 in the GVC. This has to be a bit of a confidence-builder for the Roadrunners after they dropped a number of games earlier in the season despite holding halftime leads. But it wasn’t exactly a smooth ride to the end. Lassen pressed Butte, and the Roadrunners looked flummoxed, failing basically to get the ball past halfcourt on three straight possessions. The Roadrunners should expect a heavy dose of the press when they visit Susanville on Feb. 8. The Roadrunners sure would prefer to get plenty of practice at holding onto leads. Still, preserving a victory still counts as this was at least a big step in finding a way to weather the enviable storm. Butte did it by getting a handle on its press offense, something coach Russ Critchfield said had been very good prior to Wednesday’s game, and making its free throws. It helped that Butte has excellent ball handlers in guards Sailsbery and Davis. The problem came when some of the Roadrunners’ big men tried to match the pace or tempo that Lassen was trying to induce by speeding the game up to fifth gear. Butte’s big men didn’t slow it down and instead didn’t seem completely sure what they were going to do before they got the ball in their hands. Especially when they put the ball on the floor. But Butte can shoot the ball. As a team, it has a 47.9 field-goal percentage on the season. Gavard, who had a big first half, leads GVC players in field-goal percentage at 62.7. Caldwell is a talented post, leading GVC players in points per game at 21.3 and is fifth in field-goal percentage at 54.7. Additionally, perhaps the anointing of Lassen as the conference favorite is a bit premature. The Cougars’ tailspin has continued into GVC play. Lassen (13-10, 0-1 GVC) has lost five of its past eight. Lassen also didn’t keep its cool with three technical fouls, one for delay of game, one on the coach and another on a player. Take those away, and the outcome or at least the run-up to it could have been vastly different. The win provides some interesting options for the upcoming schedule. Butte goes on the road, first a Saturday night date with Siskiyous in Weed then a Wednesday matchup in Redding against rival Shasta. Neither is a gimme. If the Roadrunners go 0-2 in those games, not all is lost, not like it would be if they were 0-3. But certainly a 1-2 GVC beginning isn’t what any Roadrunner wants. Go 1-1 and that leaves Butte at 2-1 in the GVC, and leaves it squarely in the running for the GVC crown. Win both? Well, then maybe the presumed GVC frontrunner shouldn’t be Lassen, but the Roadrunners. 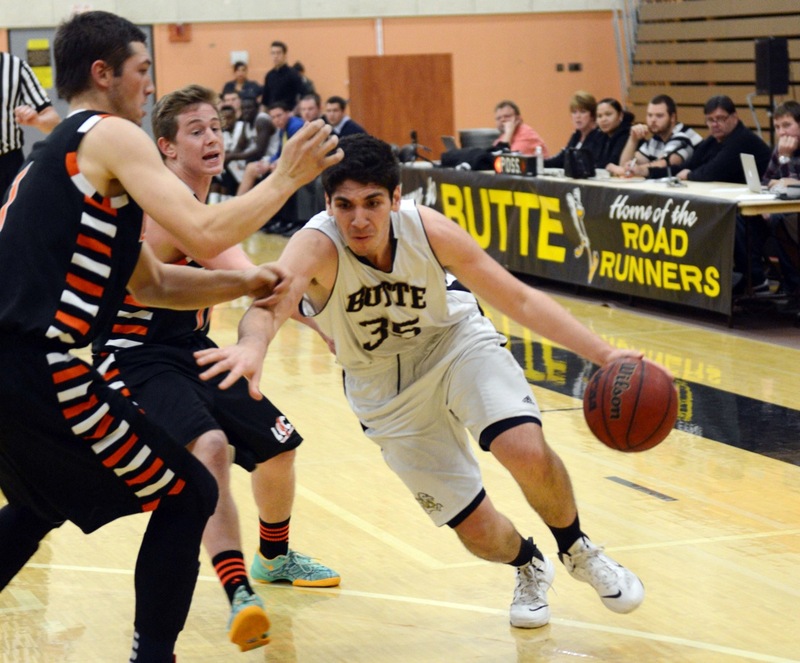 Butte next plays at home Saturday, Jan. 18 against Redwoods. The Roadrunners play at 2 p.m. after the women start the twin bill with a noon contest. The best dual meet of the high school wrestling season in the Northern Section is tonight when Chico hosts Orland. These two teams have taken turns as the best team in the section. Last year, it was Chico’s turn. Orland won the masters meet in 2012 and ’11. Before that, Chico took it twice. It’s early in this season, but Orland already has won the Doc Petersen tournament, and the same day Chico finished second in the Newark Ironman Duals. The California Wrestler ranks Orland 25th in the state and Chico 32nd. They are the only two section squads to crack the state rankings. The Trojans are led by 220-pounder Vic Raigoza, who was fifth in the state last year as a junior. Raigoza won the Doc Petersen tourney this year and was named the event’s outstanding heavyweight wrestler. He’s ranked second in the state state by California Wrestler. Fellow Trojan Hugo Punzo won the 113 division and the outstanding lightweight wrestling award at the Doc. While the lineups aren’t known yet, the likely anticipated matchup could be Punzo against Chico’s Morgan Sauseda. The Panther got the best of Punzo in last year’s section final at 106, but it was a 2-1 decision. John Leal, a transfer from Chester, has been an outstanding newcomer to the Panther ranks in the 170 class. He was the section champ at 152 last year. Chico’s Malik Hopkins, no stranger to football fans of the area, has been stellar in the heavyweight division. He likely will face Orland’s Carlos Gomez for what should be another entertaining match. Other wrestlers to keep an eye on include Jared Alves (Chico, ranked 24th in the state at 120), Layne Embery (Orland, 16th in 126), and Lorenzo Landeros (Orland, 25th at 145). Last year, Orland won the dual 42-21. But Chico won the masters meet at the end of the season with Orland finishing third. I’ll be providing updates of the match as much as I can, and shooting some Tout videos with the links on my Twitter feed, which can be found at @JShufelberger on Twitter. Also, photographer Jason Halley will be there for some of it as well. Follow him @JasonHalley_ER. Check out Thursday’s Chico Enterprise-Record or Oroville Mercury-Register for the story and photos or online at ChicoER.com for the story and photo gallery. Correct: No. 2 Paradise at No. 1 Enterprise. Winner: Enterprise. No. 3 Central Valley at No. 1 West Valley. Winner: West Valley. No. 6 Winters at No 5 Hamilton. Winner: Winters. No. 3 Fall River at No. 1 Maxwell. Winner: Fall River. This is where I went wrong. Three out of four ain’t bad. I’m 80-13 the last 7 weeks for a rate of 86 percent. So on the season: 128-35. That comes out to .7852760 for 78.5 percent. I’ll take it. The championship is a win away. Who will get a title? Let’s find out. No. 2 Paradise at No. 1 Enterprise. Winner: Enterprise. NOTE: I will have more on this game either Friday or Saturday, but the predicted winner will not change, barring a rampant case of food poisoning hitting the team. No. 3 Central Valley at No. 1 West Valley. Winner: West Valley. NOTE: Again, I will have more on this game either Friday or Saturday, but the winner will not change, barring a rampant case of food poisoning hitting the team. No. 6 Winters at No 5 Hamilton. Winner: Winters. Playing at home hasn’t meant anything in D-III so let’s ride the road team. No. 3 Fall River at No. 1 Maxwell. Winner: Fall River. The weather has cooperated and that means the Bulldogs’ passing attack won’t be hampered. Sorry, there’s not more on the two Wednesday finals, but it’s short week, and I’m short on time with basketball previews needing to be worked on. Enjoy the holiday weekend everyone. OK, remember down below are the Twitter addresses for game updates. I’m 77-12 the past 6 weeks. I’m thankful my picks have been pretty darn solid of late. The right stuff: Enterprise over Foothill, Paradise over Chico, West Valley over Orland, Central Valley over Sutter (NOTE: I originally went with CV, was flip-flopping back to Sutter before my cousin Amy Shufelberger-Knowles, the Shasta College assistant softball coach, told me not to switch, and I’ve learned over the years to ALWAYS listen to her), Hamilton over Colusa, Maxwell over Etna, Redding Christian over Butte Valley. Didn’t see these coming: Winters over Durham, Fall River over Biggs. So on the season: 125-34. Can’t make it to the games? Winters at Hamilton, @JShufelberger and of course @JasonHalley_ER for photos and video. Fall River at Maxwell, the Marysville Appeal-Democrat is covering this game, but haven’t heard which writer is covering. Will update if I can. Paradise at Enterprise, @jtlarson from the Paradise Post and @tjholmes_RS from the Record Searchlight. Central Valley at West Valley, @tlawrence_RS. Feel free to throw some picks of your own in the comments section. Want a championship? You have to play for one first. And to do that means winning in the semifinals. Here. We. Go. No. 5 Foothill at No. 1 Enterprise. Winner: Enterprise. No surprise here. No. 3 Chico at No. 2 Paradise. Winner: Paradise. Tempted to take the Panthers, especially after two days of some drying out with no rain around Om Wraith Field. But let’s face it. Paradise has had two weeks for this game. The Bobcats will be well-rested, and they’ll be ready. Don’t think Chico gets enough stops and Paradise does thanks to its defense, its field, its home crowd, the environment, etc. Curious to see how many snaps Jonathan Dixon gets on both offense and defense. As fellow running back Mat Machado said, “He’s a whole lot of man.” The telltale sign is how many plays can Paolo DiSano, Miles Fishback and Nate Guanzon make. If they can catch the ball and get some yards after the catch, then Chico will have a good chance. Malik Hopkins has to make some big plays on defense. He’s capable. Hope this one lives up to the hype. No. 4 Orland at No. 1 West Valley. Winner: West Valley. Tempted to take Orland. Trojans have the defense, and I’m not sure if Eagles have the passing game to keep them honest. Just think Austin Clark and company breaks enough big plays to get Orland out of its comfort zone of grind it out in a low-scoring affair. Curious to see how Eagles stack up against Arthur Flynn. A big, bruising back. Also Kavi Ram vs. Marcus Simmons should be an interesting matchup. No. 3 Central Valley at No. 2 Sutter. Winner: Central Valley. Don’t like this pick. Keep thinking how CV struggled on a road trip south to start its season, and how CV took a while to get going at Chico and in between couldn’t sustain an entire game against Orland. As Bryan Johnson on “Comic Book Men” said, seller’s remorse even before he even agreed to it. Can I change now? No 5 Hamilton at No. 1 Colusa. Winner: Hamilton. Braves lost by 21 a few weeks ago, but turnovers were the cause. I think Hamilton keeps mistakes to a minimum, and it always helps to have the best player on the field on your side. That would be Andrew Shippelhoute. No. 6 Winters at No. 2 Durham. Winner: Durham. Trojans can’t take Warriors lightly, not after Winters went to Weaverville and walked away with a 43-42 win. After seeing Winters win at Las Plumas midseason, I just think Durham has the weapons on the outside, and I don’t think Winters has enough in the secondary. Durham also might have a big day on special teams. No. 5 Etna at No. 1 Maxwell. Winner: Maxwell. Etna advanced by virtue of an ineligible player used by Chester. Don’t think it matters if Etna uses the same player against Maxwell. Maxwell wins 10th straight game. No. 3 Fall River at No. 2 Biggs. Winner: Biggs. This will be close as Fall River will have its sophomore starting quarterback for this one. Bulldogs didn’t in the 34-16 Biggs victory in the Wolverines’ opener. Still think nothing stops the Biggs’ train short of the championship game. OK, remember down below are the Twitter addresses for game updates. I’m 70-10 the past 5 weeks. Hmmm… I’d say 60 percent of the time, I pick right all the time, but it’s even better than that. I’m kind of a big deal you know. The right stuff: Foothill over Shasta, Chico over Pleasant Valley, West Valley over Lassen, Orland over Corning, Central Valley over Wheatland, Sutter over Lassen, Colusa over Williams, Durham over Pierce, Maxwell over Quincy, Chester over Etna (Etna later advanced because of an ineligible player), Fall River over Portola, Biggs over Weed, Redding Christian over Big Valley. Didn’t see these coming: Hamilton over Willows, Winters over Trinity, Butte Valley over Dunsmuir. So on the season: 118-32. Fall River at Biggs, @JShufelberger. Chico at Paradise, @jtlarson and for photos and videos from the one and only @JasonHalley_ER. Orland at West Valley, @tjholmes_RS. Central Valley at Sutter, @ADKirkBarron. Come on, you knew I was going to do that, right? Foothill at Shasta. Winner: Foothill. Cougars playing much better of late. Ryan Pollard is slinging it again, and Shasta QB counterpart Bailey Odell might not be 100 percent healthy. Foothill has shown it wants its season to last as long as possible by winning past couple of weeks. Shasta has dropped four straight games. Let’s ride Big Mo. Pleasant Valley at Chico. Winner….Come on. You didn’t think it would be this easy, did you? Keep readin’. Yreka at West Valley. Winner: West Valley. Pul-lease. Corning at Orland. Winner: Orland. This could be the best game of the day. Corning’s not too thrilled that it beat Orland yet has to go there. Orland didn’t have QB Tyler Batchelder for the game and lost RT/MLB Vic Raigoza early on. He’s the emotional leader of the Trojans. A fiery competitor. I say those two make the difference, along with if James Wiseman is pressed into QB duties again these past several weeks have given him plenty of time to get more comfortable. Wheatland at Central Valley. Winner: Central Valley. The Falcons’ hurry-up offense hurries the Pirates back on the bus. See what I did there? (Sarcasm). Just think the Falcons are a good enough team most seasons to be a section finalist if not section champion. Most seasons that is. Lassen at Sutter. Winner: Sutter. Lassen won’t be a pushover. But Huskies will be up to the task to win without too much of a sweat late. Williams at Colusa. Winner: Colusa. These two teams met last week. Sticking with the team that won 32-8. Call me crazy. Hamilton at Willows. Winner: Willows. Honkers a 4 seed? When have we heard that before? Oh yeah, two years ago when they won it all. Tough draw for the Braves, who are used to postseason runs but not this time around. Winters at Trinity. Winner: Trinity. I like the Warriors against at least half of the bracket, but that does NOT include Trinity at home. Wolves roll. Pierce at Durham. Winner: Durham. Trojans don’t catch a break as a 2 seed, drawing a team that beat them 14-7 on Oct. 18. That game wasn’t at Durham. And I don’t expect Durham to make the mistakes it did in that loss. Trojans advance. Quincy at Maxwell. Winner: Maxwell. Maxwell is not bowing out early as the No. 1 seed. Etna at Chester. Winner: Chester. Take the home team when in doubt in the playoffs, especially when you know little about the teams involved. Portola at Fall River. Winner: Fall River. Fall River is the one team that could probably break up the predicted final of Maxwell-Biggs. Weed at Biggs. Winner: Biggs. The Wolverines have steamrolled everyone in their path save for Maxwell. Not changing now. Butte Valley at Dunsmuir. Winner: Undefeated for a reason, Dunsmuir moves on. Big Valley at Redding Christian. Winner: Redding Christian. It seems like it’s been a Redding Christian-Dunsmuir final all along. It’s not about to change now. PV at Chico, PV vs. Chico, Chico at Pleasant Valley at Asgard Yard, however the correct wording is. Winner: Chico. The Almond Bowl was the Clayton Welch show as the QB was a highlight reel in the open field on designed runs and scrambles. If PV somehow slows him down enough, that will just open things up for running back Cameron Alfaro and fellow playmakers Paolo DiSano, Mile Fishback, Nate Guanzon, Noah Collado, etc. Curious to see the atmosphere at Asgard Yard with the two schools together at the field they have shared for these past three seasons. But ultimately, Chico led big last time two weeks ago before PV managed two late scores. Maybe, it’s not that big of a margin, but that’s a lot of ground to make up in two weeks’ time. PV has to find a way to make some yards throwing the ball. It couldn’t last time. D-lineman Malik Hopkins has been a terror for Chico, providing the Panthers a defensive playmaker. It seems like he gets two sacks every game, or at least in the ones I’ve seen. Also, curious to see if Welch ends up playing some defense as he did in the teams’ Almond Bowl. He was a factor as he didn’t shy away from contact. He initiated it instead. PV needs a big game from its QB Trent Darms as he will be key on third downs. Vikings have to move the chains consistently, something they didn’t do after the first quarter. Enjoy the game. I’m hoping, too. I’m 57-7 the past 4 weeks. Maybe I do know what I’m talking about. Naaahhh, that can’t be it. The right stuff: Chico over Shasta, Enterprise over PV, Paradise over LP, Sutter over Oroville, Orland over Winters, Durham over Live Oak, Biggs over Los Molinos (forfeit), Wheatland over Gridley, Hamilton over East Nicolaus, Willows over Pierce, Foothill over Red Bluff, West Valley over Corning, Big Valley over Princeton, Central Valley over Anderson, Lassen over Yreka, Dunsmuir over Mercy, Trinity over Mount Shasta, Colusa over Williams. Didn’t see these coming: Nada. So on the season: 105-29. Yreka at West Valley, @tlawrence_RS. Can you believe this is it? The last week of everyone playing football. Hmmm…getting a little misty just thinking about it. Let’s get to the picks before I need a tissue. Shasta at Chico. Winner: Chico. Shasta has lost three straight since PV took the Wolves down. They’re pointing down. Chico has won two straight while committing zero turnovers and QB Clayton Welch has accounted for 13 touchdowns over those two wins. Chico gets a 3 seed with win (most likely). Pleasant Valley at Enterprise. Winner: Enterprise. Vikings beat Shasta 7-6 a few weeks ago. Enterprise led those same Wolves 50-0 midway through the SECOND quarter. Paradise at Las Plumas. Winner: Paradise. LP can still get into playoffs with a loss. Paradise has 2 seed locked up. Don’t think Bobcats care. Oroville at Sutter. Winner: Sutter. Let’s just move on (Something either team might be thinking). Winters at Orland. Winner: Orland. Winters is a sneaky good D-III team. Orland still one of the best in D-II. Trojans bottle up dual-threat Warriors QB, and they grind down another opponent with plenty of Arthur Flynn and a rock-solid offensive line. Live Oak at Durham. Winner: Durham. Trojans can smell a 2 seed with a win thanks to beating current No. 2 Trinity earlier in the season. Biggs at Los Molinos. Winner: Biggs. Wolverines bounce back from first loss in a big way. Wheatland at Gridley. Winner: Wheatland. Pirates are playoff bound while the Bulldogs are not. But Gridley won 2 games this season, a big step forward after winless 2012 campaign. Hamilton at East Nicolaus. Winner: Hamilton. Braves prep for postseason run with a win. Pierce at Willows. Winner: Willows. These two teams have had some memorable matchups in recent history. This could be another one. Red Bluff at Foothill. Winner: Foothill. From all reports, Cougars QB Ryan Pollard is healthy after leaving win against Oroville last week with a thumb injury. He’ll be the difference in front of what I would expect is a big crowd with the winner basically making the postseason. Corning at West Valley. Winner: West Valley. 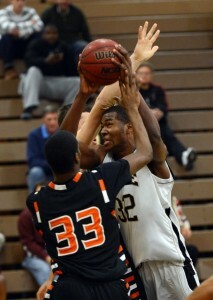 Corning is a good D-II team. West Valley very well could be the best. Big Valley at Princeton. Winner: Big Valley. Princeton won its half of the 8-man conference. But the north side of the league has owned the south side. The Big Bonus: Central Valley over Anderson, Lassen over Yreka, Dunsmuir over Mercy, Trinity over Mount Shasta, Colusa over Williams. My gosh, I’m 39-7 the past 3 weeks. Maybe I do know what I’m talking about. The right stuff: Chico over Pleasant Valley, Sutter over Las Plumas, Foothill over Oroville, Paradise over Red Bluff, Durham over Mount Shasta, Winters over Gridley, Corning over Yreka, Orland over Wheatland, Princeton over Westwood, Enterprise over Shasta, West Valley over Anderson, Central Valley over Lassen, Mercy over Westwood, Portola over Los Molinos, Pierce over Live Oak. Didn’t see these coming: Maxwell over Biggs, Colusa over Hamilton, Trinity over Willows. So on the season: 87-29. Shasta at Chico, @JShufelberger photos and videos from the one and only @JasonHalley_ER. Pleasant Valley at Enterprise, follow loyal reader, big north state sports fan and Enterprise alum (full disclosure, don’t worry, he’s a good guy) who volunteered to post some updates since he’s attending the game @AndrewIvey87. Paradise at Las Plumas, @jtlarson. Red Bluff at Foothill, @tlawrence_RS. Almond Bowl: Pleasant Valley vs. Chico at University Stadium. Not ready to make this pick just yet. Let’s get to some others. Sutter at Las Plumas. Winner: Sutter. Huskies will bounce back after getting beaten at home by Enterprise. T’birds eked out a 23-20 win against Gridley last week. Sutter beat Gridley 59-3 recently. Oroville at Foothill. Winner: Foothill. The passing attack was sharp on the road last week against Chico. I think Foothill wants to finish strong, and the Cougars could give Red Bluff fits in the season finale. Tigers were shut out last week at home to Orland. If they can hold onto the ball, I think they’ll score some, but they won’t be get to Foothill QB Ryan Pollard enough, and they certainly can’t cover all the receiving options Pollard will be able to find down the field. Red Bluff at Paradise. Winner: Paradise. I’m sure Coach Rick Prinz has mentioned a time or two last year’s result at Red Bluff. Maxwell at Biggs. Winner: Biggs. This might be Biggs’ biggest test to date. But I don’t see the Wolverines slowing down. Durham at Mount Shasta. Winner: Durham. The Trojans have one long road trip, but I think all that talent will make the trip. Trojan looking for a move up the playoff points with strong finish. Gridley at Winters. Winner: I’ll take Winters at home. Winters has a good dual-threat quarterback and has already beaten teams that beat Gridley. Colusa at Hamilton. Winner: Hamilton. This probably decides the league title. I think Braves are much better and I think they’ll play better, too. Colusa has lost to D-IV teams. Hamilton’s losses are to Durham and Willows, two of the better D-III teams. Trinity at Willows. Winner: Willows. This is the D-III matchup of the week. Honkers at home is a tough draw in yet another lengthy road trip for the Wolves. Trinity has several good athletes at skill positions. But I think Willows bounces back after loss to Durham. Not sure if Trinity will pass enough to make Willows think twice about loading up on the run. Yreka at Corning. Winner: Corning. Miners face a long trip and a good team. Cardinals have been stout at home, and Yreka is hurting at quarterback as injuries have mounted. Wheatland at Orland. Winner: Orland. This could be a good one. Wheatland has a good passing attack. Don’t know if Trojans will have starting QB Tyler Batchelder back from a concussion yet. That could tighten things up, but backup (and former starting at WR) James Wiseman has had a few weeks of play at the position. He’s gotten positive reviews in limited chances. Think Orland’s defense comes up big with a couple of turnovers and/or stops. And a heavy dose of big, bruising fullback Arthur Flynn makes the difference. Herlong at Princeton. Winner: Princeton. Eagles have been on a roll since starting season 0-3 thanks to brutal opening slate. Have to figure they keep things rolling behind all those playmakers. Chico at Pleasant Valley. Winner: Almost there. The Big Bonus: Can’t let the River Bowl go without making a pick. I’ll take Enterprise over Shasta, though I wouldn’t be surprised if Shasta keeps it close for a quarter or more. That’s actually a compliment with the way Enterprise has ran over most teams of late. I’ll also take West Valley over Anderson, Central Valley over Lassen, Mercy over Westwood, Portola over Los Molinos, Pierce over Live Oak. Chico at Pleasant Valley (at University Stadium). Winner: Chico. I’m surprised that it seems like everyone I’ve heard from or talked to is taking the Panthers. I don’t think enough credit has gone to PV for they way the Vikings have turned their season around the past few weeks. Panthers are definitely the more desperate team as a win means they control their destiny and would definitely make playoffs with a win at home vs. Shasta next week. I think the side-by-side results tip the favor in picking the Panthers. Chico beat Red Bluff 61-20 at the Spartans’ place. Of course, that was on the field, and the result has now become that infamous forfeit loss for use of an ineligible player. PV went to Red Bluff last week and won 35-28. Big difference in 41-point margin and a 7-point margin. Still, I think PV is fueled by getting that elusive win against Chico. Looking forward to the matchup of Chico High QB Clayton Welch vs. PV linebackers Chad Olsen and Ryan Steindorf. That’s a great matchup of three great athletes. Also, how does the freshman nose guard respond for PV? And if the Vikings can keep their offense on their field like last week when they converted 14 of 17 third-down plays for first downs and went on a 14-play drive for the go-ahead score. Well, Chico’s offense can’t score if it’s not on the field. Should be a fun game to watch no matter what, and it figures to be the closest Almond Bowl in the past few years after a pair of Chico blowouts after a PV blowout the year before that. And these types of games always seem to bring something new to the table. Last year, cheerleaders got a penalty. Had never seen that before. What does this year’s game have in store? We won’t know until it happens. But we’ll let you know when it does. Hope to see you out there. See below where you can find updates, and leave some picks in the comments section. The right stuff: Chico over Foothill, Pleasant Valley over Red Bluff, Orland over Oroville, Paradise over Shasta, Las Plumas over Gridley, Corning over Anderson, Hamilton over Esparto, Biggs over Esparto, Princeton over Loyalton, Enterprise over Sutter, West Valley over Lassen, Central Valley over Yreka. Didn’t see these coming: Durham over Willows. So on the season: 72-26. Almond Bowl: Pleasant Valley vs. Chico, yours truly @JShufelberger AND @TravisSouders and make sure you keep an eye on the one and only @JasonHalley_ER for photos and videos as well. And for even more, our weekend reporter @dan_reidel will be their doing a color piece for the news side as well. Red Bluff at Paradise, @jtlarson and @Post_RickSilva. River Bowl: Shasta at Enterprise, @tjholmes_RS AND @tlawrence_RS.